Proud to introduce our newest intern out here at the Kitten Factory. 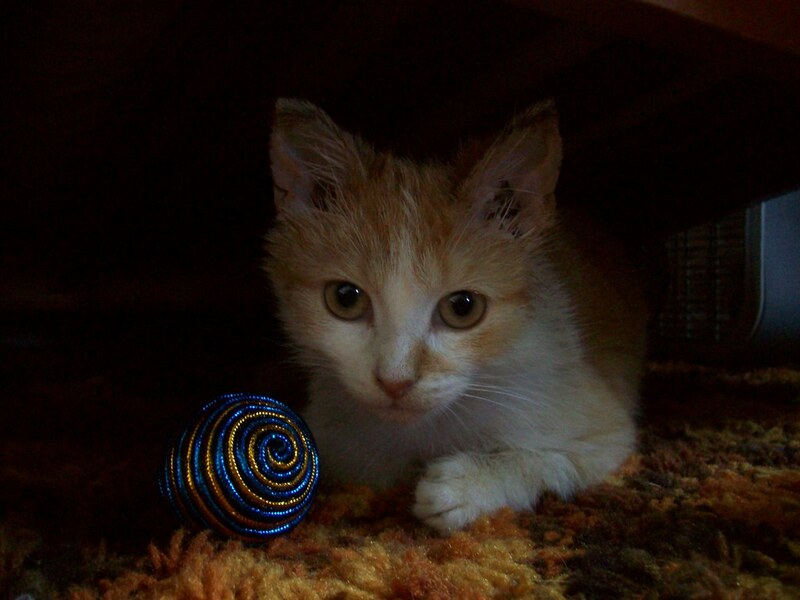 We expect great things from Cinder as she brings with her energy, charm, a few sneezes and undeniable CUTE. More from the factory floor soon. more in a while, but for now go here. oddly enough 24MOTAB is this Sunday. Expect more excitement than you can possibly fathom because this time there will be more excitement than you can possibly fathom without being able to fully fathom the excitement or the said possibility of excitement than you can fathom! It has been said that often in the days of colonial British rule of the Indian subcontinent that when it got too dark to play cricket on the finely manicured lawns of viceroy, servants would stand on the perimeter of the game holding torches to light the grounds thereby deflecting harmful shotgun blasts fired by assassins riding pachyderms (of the elephant variety) hiding in the jungle periphery. Terrible terrible things would happen and sometimes not but mostly terrible things and these terrible things were not without consequence and outcome much like when you have your taxes done by the guy standing in line at the Freedom Mart who only wants a pack of smokes and a cheap tv dinner to sooth his troubled mind from all the terrible terrible things that have happened but sometimes not but mostly have. Pancakes. There I said it. That's it! 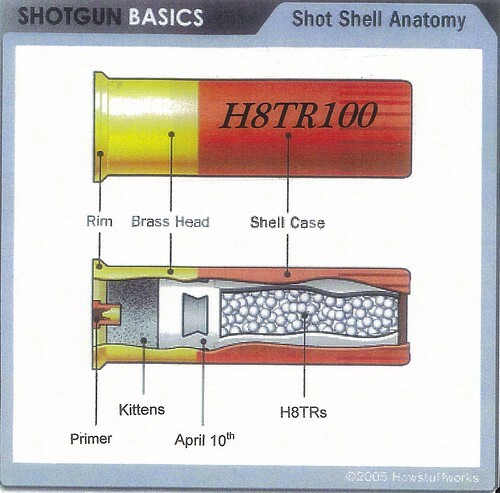 Registration for the H8TR100 is now closed. This weekend we'll throw all the names in a hat and pull out the roster for the 2010 H8TR100! 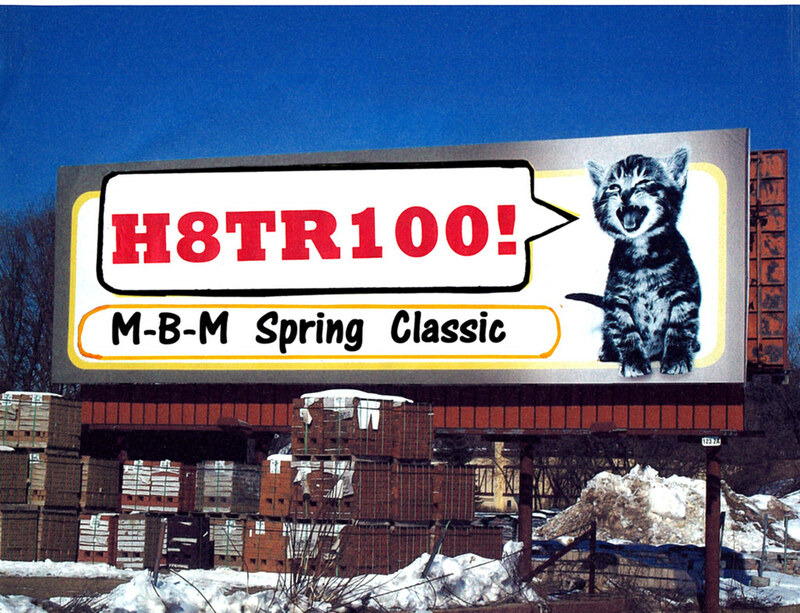 After much delay it's time to light the fuse on the 4th edition of the Madison-Basco-Madison Spring Classic (now and forever after to be known as the H8TR100. Begun back in the spring of 2007, the M-B-M Spring Classic is an homage to the European spring road classics. In other words, grueling course conditions tempered by brutal early spring weather for maximum suffering. Sound good? You damn well bet it does! Remember, We pick the day but not the weather! The Place: as is tradition, a secret until about a week before, but let's just say Madison Wisco fer now. As with the last three years, the M-B-M H8TR100 will start in Madison and then do an out and back course on the H8TR Trail (better known as the Badger State Trail) with an overall distance being somewhere around 100K . The H8TR Trail is a combination of pavement, crushed gravel and eight miles of unfinished railroad bed featuring cinders, weeds, deer carcasses, potholes, downed trees and assorted sizes of gravel. Add to that the weather which two years ago featured a mix of rain, snow, sleet and stinging ice pellets aided and abetted by a stiff north wind on the return trip and you have a recipe for F-U-N!!!! Sound like your kind of fun? Oh yes it does! Rain date?....ahahahahahahahahahahaahhaha! This is Wisconsin!!!! Remember once again: We pick the date, not the weather! So be prepared for anything! There are also highways to cross, bridges and a tunnel. Yes a tunnel, a very long very dark train tunnel so you will need a headlight (no really you will need a headlight) and possibly crampons for the ice in the tunnel. Still with me? Good! We have a couple more things in store just to keep things interesting and to put even more of a challenge in the race. What are they? That would be telling. Suffice to say that even though this is on a level road grade (mostly....) and runs along a finished bike path for the majority of the race (mostly.....) there is an element of danger involved which could lead to injury, damage to bike or even.......getting killed. Mostly it just means using yer head and keeping alert. Last year everybody who started the ride finished the ride and we had a great time doing it. So, Kitten Master, how the hell do I get registered for this event? Keep watching the Kitten Factory, at some point this week (yes that's a secret too) we'll yell pull and then it's game on! We'll give you an email address to register at. Don't register here in the comments, we might miss it. There will be an 75 rider cap (this includes the six top three mens and womens finishers from last year). 75 is a "just about" manageable number. So 75 it is. We'll keep registration open for a week and then draw names for the roster. Any entries left over after that will go on a waiting list and those entries will be notified if there is an opening. Fees can be payed via Paypal As always The Madison-Basco-Madison Spring Classic is a nonsanctioned, totally amateur (us, not you necessarily) event that could seriously threaten life and limb so we take no responsibility for injury or mayhem. Mayhem is cool! Serious injuries not so much. Oh shut up already Kitten Master!!! here are links for the past three M-B-M race day reports to give you a feel for what it's all about. When we yell "pull!" be ready.